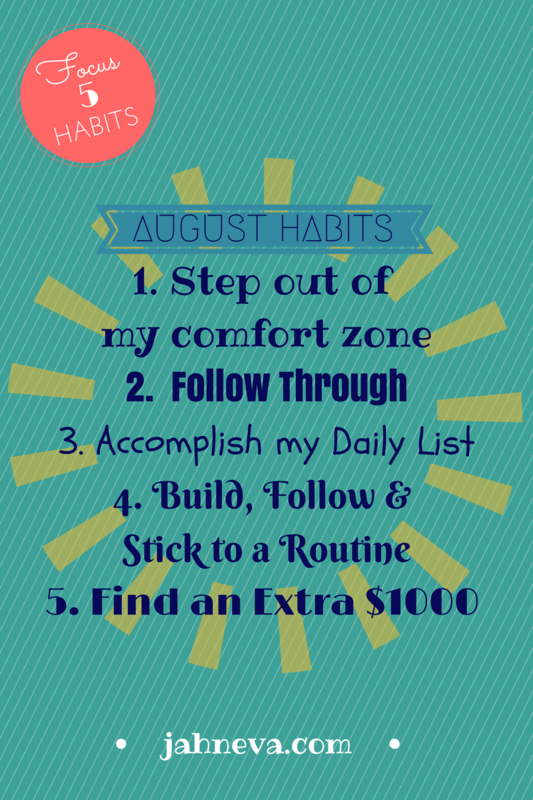 Wanted to officially publish my Focus 5 Habits for August. You can read more about my August Habits, here. Don’t forget to hold me accountable! What are you working on this August?